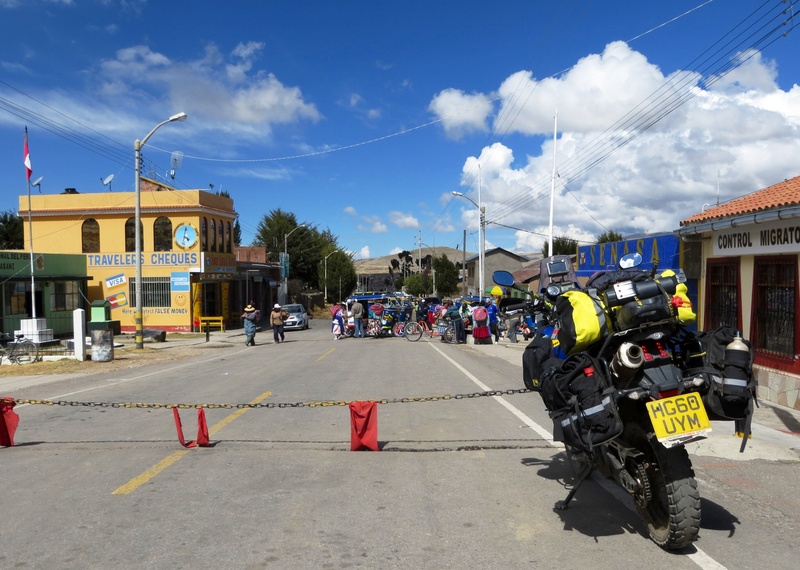 As I drove through the outskirts of Arequipa a few weeks ago, the bike loaded and and the open road ahead, I felt a sense of sadness and loss. I was leaving a place I had connected with and felt comfortable within. And I suspected I wouldn’t return – it was a final farewell and those are usually the hardest. I’ve experienced this many times during my travels here in South America: I fell in love with Sucre in Bolivia, and even researched how to secure a Bolivian resident’s visa so I could live there for a few months; on all three occasions I visited Arequipa, ‘The White City’ of Peru, I didn’t want to leave; I felt a very tangible sense of loss when I bade farewell to Patagonia; Pisac, when I stayed for two and a half months, became a home-from-home; and most recently, the rustic charms of Ayacucho invited me to stay for longer than I could afford. For many travellers, such experiences are at the heart of why they choose to explore foreign lands. We seek these hidden gems, these places which are not our own yet where we nevertheless feel welcomed and where the unfamiliarity stimulates our senses. Places to which, and people with whom, we feel a sense of connection. And naturally, these places and people tend to develop a hold on us. Their open arms and foreign charms beckon us to stay. But herein lies the dilemma – for the true essence of travelling, indeed its very definition, is to move onwards to new places. A traveller can’t stand still, for to do so changes the experience. I have stopped in many places along the way, sometimes because I had to as I awaited repairs to my moto, but usually by choice. I’ve paused for a few days and I’ve put roots down for a few months, yet eventually on every occasion I have moved on. Staying in one location – to get under its skin, to establish a rhythm and a harmony with the place – holds a certain quality of experience for the traveller. Being ‘on the move’ also has its own distinct quality, different yet just as rich. Watching the world around you constantly change, having your expectations challenged, surprises at every turn, a sense of trajectory and exploration…. If settling a while in one place allows you to rest, then the travelling in between keep you light on your toes. This is the Yin and Yang of travelling. Without one, the other would lose some of its richness and flavour. Yet even after a year and a half, when I settle I often don’t want to leave. Such is the Traveller’s Dilemma. I have reflected much on this, and for me the conundrum runs deeper. We all have our own reasons for travelling, but I suspect many seek something more than simply the stimulation of visiting new places, or the excitement of undertaking new challenges. For many, we seek a deeper connection with the places and people we find ourselves amongst, to experience other ways of living and appreciate life from a different perspective. Or perhaps we seek a space in which to turn inwards and reflect on our circumstances, maybe seeking answers or personal growth. This has been a key part of my journey. After 18 years a soldier, I needed to find the space to recalibrate and achieve some clarity about what comes next for me. Life on the road does not always fit comfortably with this deeper quest. The moto is a demanding mistress. She expects a lot of your time, but more significantly she can dominate your attention. For me, when I am on the move, the moto is the central reference point around which my thoughts and perceptions are orientated. Where shall I head for today? Where can I buy fuel? When is the next service due? What is causing that unusual vibration? How can I pack more efficiently? Everything is viewed through the moto lens. It can, frankly, become a mild obsession. There can be little room for anything else. The challenge, which I suspect many other ‘overlanders’ will recognise, is finding balance. I love life on the road and I love riding my moto. However, the most precious moments held within this wonderful continent are those when you really connect with the land and its people – when you stop, fall silent and let that special energy come to you. The times I have parked up a while and left the moto, in Pisac and Rapa Rui particularly, have allowed me that space. And as I journey further into the mountains of Peru, where the constantly twisting roads, the ever-present hazards such as animals and rocks in your path, the beautiful vistas and the charms of the villages and the local folk all demand I slow down, I am learning more to tune in even as I ride. Fine words and a fantastic way to live. We’ll be there soon. Ah Steve, I forgot about your S Am plans! How are things coming along? What dates are you looking at? I suspect I’ll be here for a while yet – perhaps we’ll cross paths. Once I get fit post major op, finish thesis, resign and off load girls we’ll be good to go. Shouldn’t be long now; I’ll forward our itinerary with dates once confirmed. In the meantime, take care and let me know if you need any help from this end. Hmm …the moto: a blessing and a curse; integral to what you are doing yet an obstacle to finding the peace and space, clarity and depth of thought that you seem to be seeking. Hello Pitch – I was wondering where you had got to! Some wonderful experiences being shared here! Makes me think back on the life of those media embeds we entertained once upon a time! Hope all’s well. Safe travels. The Brown Bear lives!!! Really great to hear from you, mukka. What’s keeping you busy these days? ?